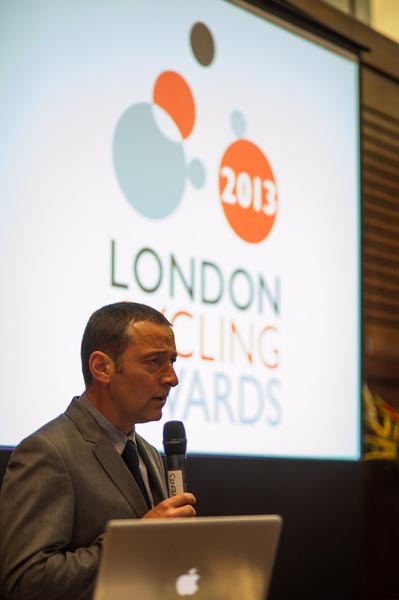 At a time when cycling in London is more popular than ever before, the work of grass-roots cycling campaigns across the capital were celebrated on Wednesday evening at the London Cycling Awards. Bigger and broader than ever before, the annual awards ceremony of the London Cycling Campaign (LCC) recognised the biggest achievements in cycling over the past 12 months. 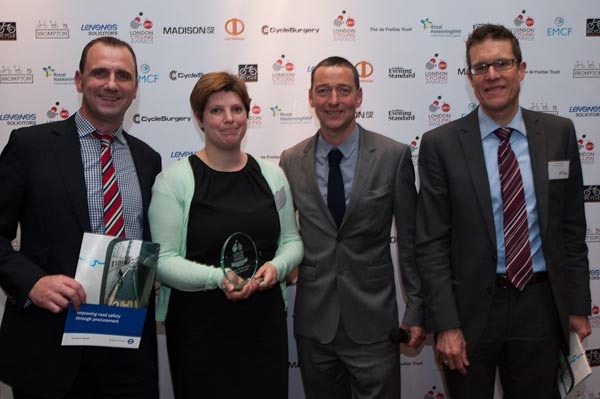 The flagship award of the evening for the ‘best London cycling initiative’ went to Transport for London (TfL) for their procurement policy for safer lorries. Beginning in April last year, transport companies employed by TfL are now contracted to minimise on road risk to cyclists through installing safety equipment and driver training. TfL are now helping spread their experience in changing procurement policies with a ‘toolkit,’ encouraging London councils and companies to follow their lead. Of course we must mention that Cycling Weekly was a runner-up in the ‘best cycling communication’ category. However the awards highlighted the enormous range of projects at work in the city, many of which often go unnoticed, that work tirelessly to make cycling better. Many of these are low-cost, simple projects that can often give a vast return on investment in terms of getting people cycling. The London Bike Kitchen, a venture in Hackney giving people access to bike tools and expertise to fix their own bikes, took the award for ‘best community project.’ They followed that up with the best celebrations of the evening, drenching the venue and host Ned Boulting’s suit with champagne. Another impressive project was the winner of the award for best workplace initiative; the Heathrow Cycle Hub has helped increase cycling to work at the airport by 44.7%. Although the awards were limited to campaigns in the capital, they showcased the sheer amount of work going on to help make cycling an easier and more normal thing to do. There is plenty of cause for celebration, and plenty of reasons to keep going! Did the Olympics give cycling a boost?